Look at this beautiful new toy you bought us!!! Thanks to your generous donations, the VGHF now has this MASSIVE BEAST of a flatbed scanner. 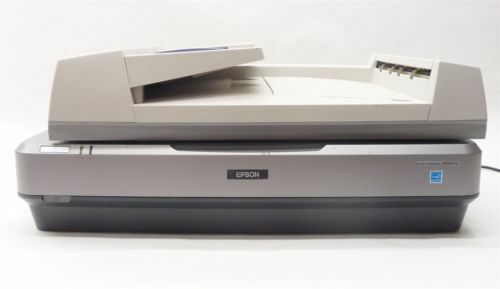 This is the Epson 10000XL, which does A3 scans (11.7″ x 16.5″), which is double the size of our prior bed. We can do fun stuff now, like scan the entire two-page spread of a flattened magazine (illustrated above with VideoGames & Computer Entertainment #1). 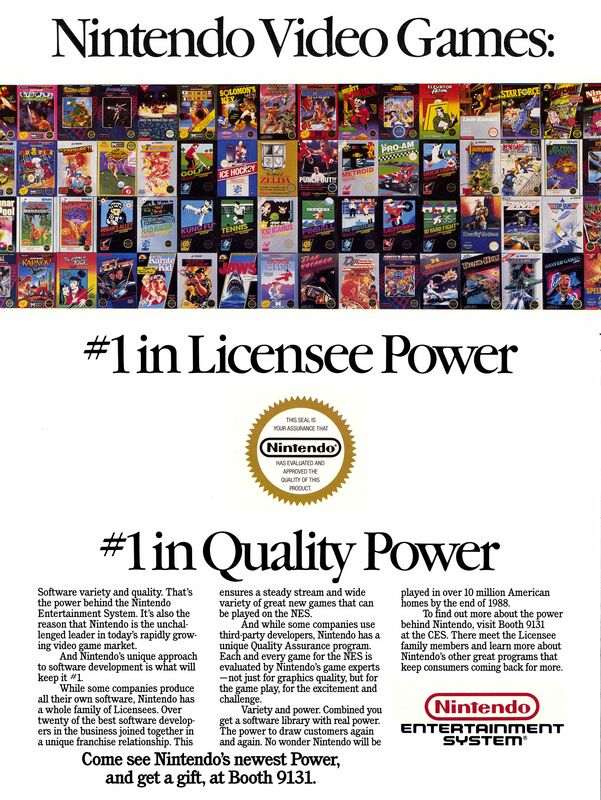 We can also now scan oversized images without having to scan them in pieces and stitch them back together in Photoshop later, such as this rare trade ad for the NES comes from TWICE (“This Week in Consumer Electronics”). TWICE was a tabloid-sized magazine, meaning each page was around 11×16″. This scanner chews through these pages easily. Compare this image to the first one. Note how the lid is transparent now, rather than white? This is because the scanner has its optional transparency lid attached to it. To scan transparencies (slides, film, etc.) you need to light it from both sides, which this attachment does. For the ENTIRE BED. So we could, theoretically, scan massive pieces of film now. 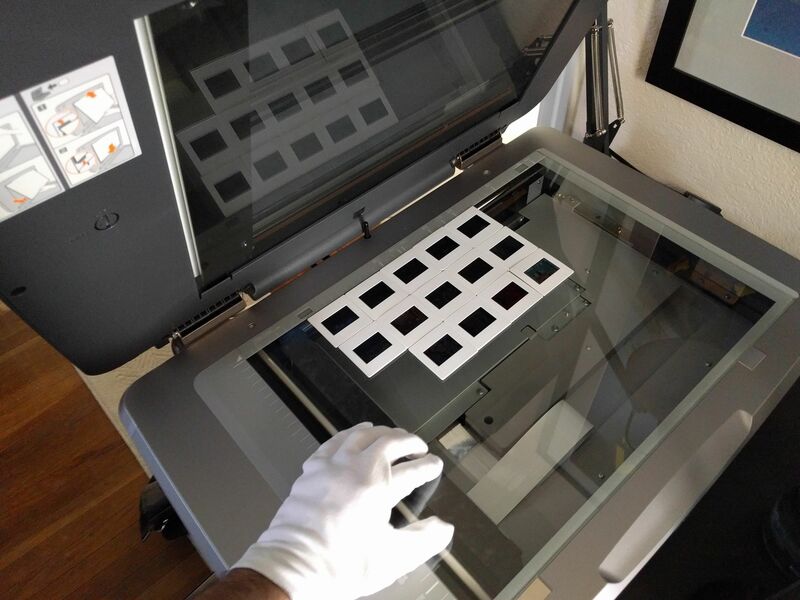 In the case of slides, our prior scanner (the Epson Perfection v550) could scan four slides at a time. The 10000XL can scan…however many fit on the bed. There’s only 14 in the image because that was every slide in the press kit I was archiving yesterday! 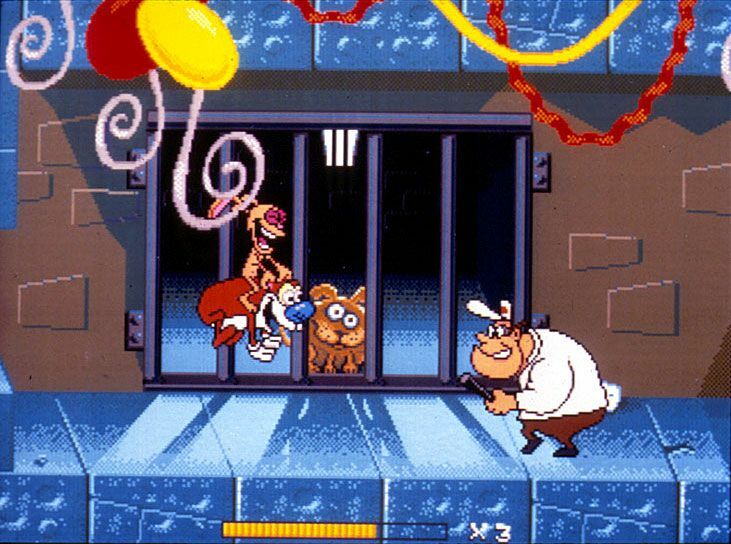 These particular slides come from a Sega press kit for the 1992 holiday season. 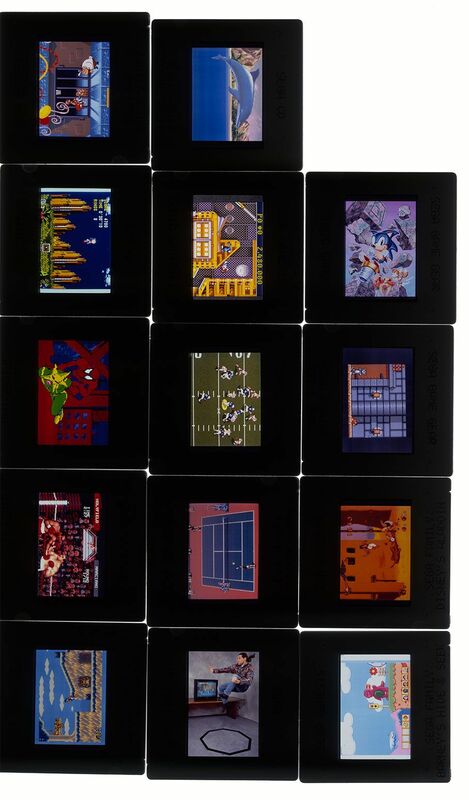 This kit was sent to media outlets (like video game magazines), and included some text information about the games they were selling that year, along with these screenshots and photos on slides. I’m willing to bet you could find many of these screenshots in magazines from that era. Here’s a detailed of the screenshot from Ren & Stimpy: Stimpy’s Invention on the Genesis (after a bit of sharpening and level correction). This screenshot is from an unfinished version and, right off the bat, I can see that the color of the tiles is different than the final game (the blue-tinged floors are green in the retail game). Digging up promotional screenshots like these can often give us glimpses into the development process, and in some cases can even make us question some of the decisions made (for example: why change this? I think the blue looks a lot better). 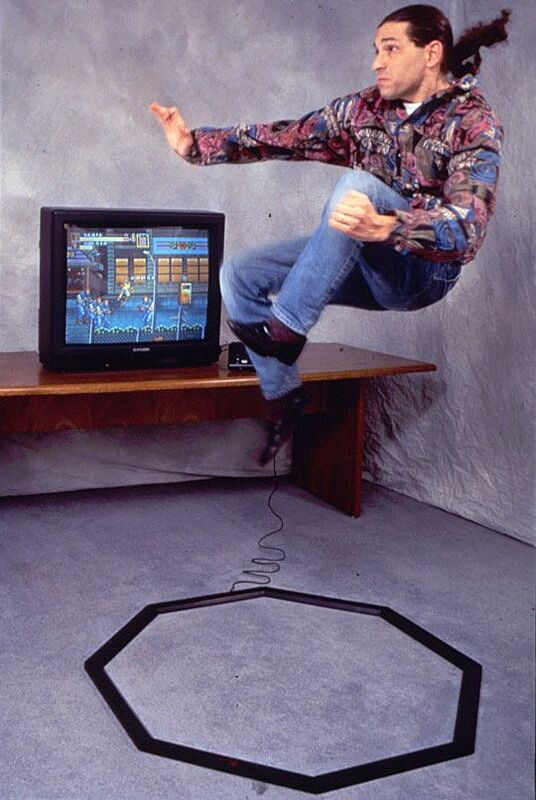 Here’s a promotional photograph for Sega’s motion-sensing controller device, the Activator. Note that the game itself is paused: I think he’s just doing this sweet move for fun. I was really thrilled to discover the existence of this scanner. For a long time now (well over a year) we’ve been eyeing Epson’s current A3 flatbed, the 11000. The unit that has the overhead transparency capabilities retails for around $3,500. The 10000XL, as far as I can tell, has the exact same optics, but is older. The only improvements I know of are in the software itself, which I don’t touch anyway, and MAYBE the transfer speed over USB, which doesn’t matter much at all in the grand scheme of things. For a brand new, open-box unit, we paid $1,100 on eBay. That’s less than 1/3 of the price with no downside, so I’d call that a win. One final thing about this model is that the lids are modular. We’ve got the transparency unit, something else we could invest in later is this document feeder attachment. I haven’t come up with a use yet that would justify the price, but if we were to, say, start de-binding magazines and scanning them in an archival way, this would be amazing.